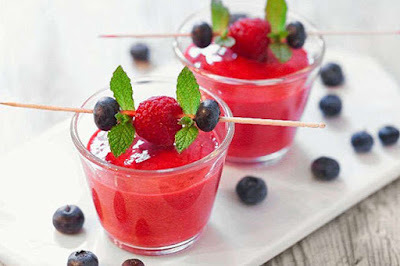 You can use fresh or frozen raspberries and blueberries to make these smoothies. They'll be chilled regardless, thanks to ice cubes and sherbet! Blend ingredients together, except ice, in blender until smooth.